There are a lot of pressure cooker models on the market with different features, it is hard to know which pot will suit you best. Looking for the best pressure cooker for many different occasions and styles? There’s one pressure cooker that stands out and packs the features of seven different appliances all in a handy 6-quart 1000-watt machine: The Instant Pot IP-DUO60 7-in-1 Programmable Pressure Cooker! 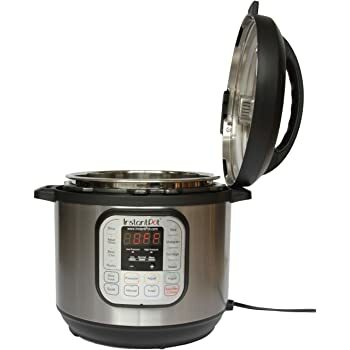 – 7-in-1 Multi-Use Cooker: The Instant Pot IP-DUO60 is a 7-in-1 multi-cooker that functions as a pressure cooker, a slow cooker, a rice cooker, a steamer, a sauté pan, a yogurt maker and a warmer. That’s practically seven separate appliances built into one handy cooker! 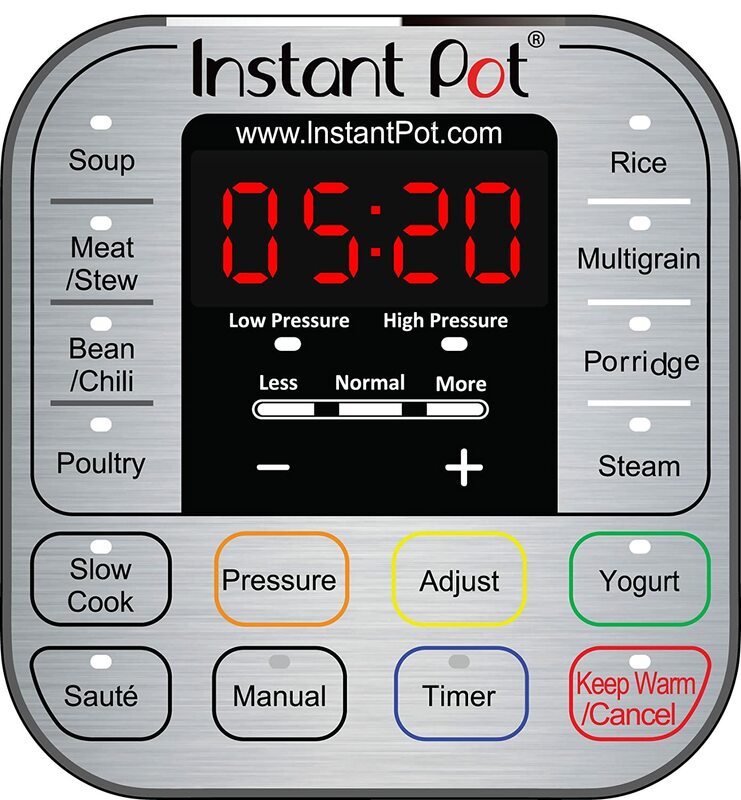 – Ease of Use: The Instant Pot IP-DUO60 is built with a user-friendly control panel which lets you operate it in just a push of a button and cook almost any kind of food. Choose among 14 built-in Smart Programs, Dual Pressure, 3 distinct temperatures for saute and slow cook purposes, and Automatic keep warm for your convenience. – It allows you to set the time, the pressure, and the pressure release schedule all with a swipe of the finger. – Save time: This pot is designed to cook foods up to 2-6 times faster. This also saves up to 70% in energy usage. – It has a 24-hour timer and automatically warms so your food is ready anytime you want to eat it. – Its microprocessor allows it to cook foods perfectly by monitoring and adjusting the temperature based on the what the food type and quantity. With this, delicious food is assured to come to your table each time. – It has a stainless steel inner pot with a 3-ply base for added durability and uniform heating throughout the pot. It also has a measuring scale in US cups within the pot. – Keep warm function: After it’s done cooking your dish, the Instant Pot IP-DUO60 7-in-1 will automatically turn on its warm mode to keep your dish at a temperature of 62-74° (C). The Instant Pot IP-DUO60 7-in-1 provides many advantages. Stews that take 4 hours to cook, can now be cooked in less than an hour. By saving you time, you can get started on other more important things around the house, catching up with friends, or simply sit back and relax with your loved ones. Instead of waiting around a stove, you’ve got a lot more time on your hands! 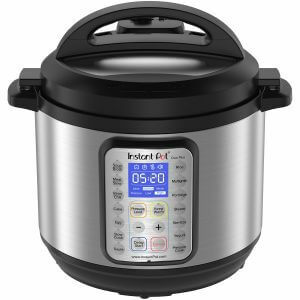 If you’re interested in purchasing an Instant Pot IP-DUO60 7-in-1, you may want to have a look at this list of pros and cons. 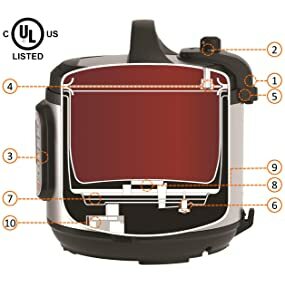 Based on actual customer reviews, here is a quick summary of what many customers loved and hated about the Instant Pot IP-DUO60. Seven different functions that you would otherwise have to buy separate appliances for. It can pressure cook, sauté, slow cook, steam and more! Default cooking settings which you can choose when you’re looking to cook soups, meats and other types of food. You won’t need a thermometer as the Instant Pot IP-DUO60 7-in-1 Pressure Cooker has its own temperature settings to tell you the exact temperature in the pot. Instead of checking the flame on a regular gas oven, you only need to look at the screen. Its pot is easy to clean and highly resistant to staining. You can also put it in your dishwasher. Pressure release takes some practice, but the Instant Pot IP-DUO60 can gradually decrease pressure so that opening the pot won’t lead to any accidents. You can delay its cooking time for up to 24 hours, and its lid is airtight so no odors will escape prior to cooking. Its design saves you a lot of counter space. When it comes to cleaning, the outer pot has a trough that may be tough to clean. This can be resolved by using hot water and a slim brush to get to that tricky area. It may seem expensive, but it’s definitely cheaper than buying a separate rice cooker, sauté pan, slow cooker and a pressure cooker! In addition, it also saves you a lot of counter space. Can I sauté garlic, onions, ginger and other spices and then cook with the rest of the ingredients? – The answer is yes. You can definitely sauté spices in it. You can opt for the sauté feature with the lid off. Once they are sauteed, just add your liquid and other ingredients, lock the lid, and set the timer. With this wonderful feature, your cooking will truly be made easy and convenient. – This product is made of stainless steel and is easy to clean. The stainless steel inner pot is dishwasher safe. However, d7o not submerge the outer body in water… clean with a damp cloth. How can I use the slow cooker? – A venting device can be seen on top of the lid, so you only have to turn it to vent, press the slow cook button, and set the time. Can I cook soup in 15 minutes? – No… you can’t, the cooker has to build pressure for the first 15 minutes. A soup with beans will take about 40 minutes to be done. Still, compared to regular cooking and most electric pressure cookers out there, this unit saves energy and cooking time. Can the seal be bought easily ? A replacement ring seal? I live in australia. What is the warranty on this product outside usa? I live in australia. What is the warranty on this product outside usa?Are the electrical fittings on this product suitable for use in australia? Here is the info from the manufacturer’s site. See prior comment regarding warranty. For suitability for Australia please see this comment from their site. Yes, we also produce 220~240v Instant Pot models for sale in UK. If you live in EU countries, you can purchase from http://www.instantpot.co.uk or amazon.co.uk. 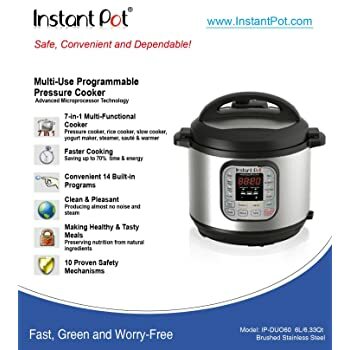 Unfortunately Instant Pot is not yet available in Australia, Asia and other countries. Why didn’t come with a recipe booklet? You can retrieve a recipe booklet from their site. Here is a link to a free recipe book. You will need a thermometer to know when to add yogurt starter to the heated milk as it cools.